How often have you been in the car driving and your baby starts making a noise but you can't see them because they're in a rear facing car seat. It's so frustrating and completely distracts you from driving which is very dangerous so a baby car mirror is a parenting essential when driving the car with your baby in it. I had one for Logan when he was little and I got another one when Harlow was born, it really did make me feel more at ease. Luckily for my amazing blog readers I have an awesome Royal Rascals Baby Car Mirror to give away. Here's a little bit about Royal Rascals in their own words: "As a 'parent-to-parent' company, we understand that ensuring your little ones are safe and sound is a full time job - which is why we created the Royal Rascals Baby Safe Mirror - to deliver absolute maximum safety for your baby when traveling while guaranteeing you peace of mind at ALL times." 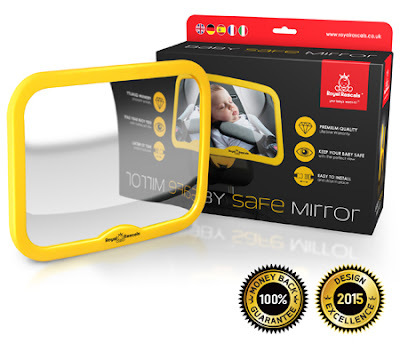 HOW will the Royal Rascals mirror guarantee your baby's maximum safety? SAFETY YELLOW - grab a glance of your baby in a split-second without dragging your eyes off the road for longer than needed. Shatterproof mirror - built tough so your baby is 100% protected ALL of the time. Lightweight and convex - a large panoramic view with a frame that won't injure should it fall. 360 rotation and tilt - a clear view of your baby at any angle. Dual adjustable straps - fits any car and won't slip out of place or wobble during transit. Optimum mirror size - not over or undersized - the best view of your baby without being a dangerous distraction while driving. Soft touch frame - OK this isn't entirely about safety BUT it does mean it's pleasant to touch without the cheap plasticky feel! So to be in with a chance of winning your very own Royal Rascals Baby Car Mirror just enter via the rafflecopter widget below. 49 comments on "Giveaway: Royal Rascals Baby Car Mirror"
We would use it for our little one who is a month old. 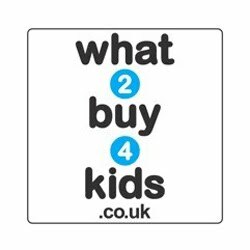 We have just got a car seat for my grandson, my daughter has one of these mirrors in her car, we would like to have this for ours. I would love it for my daughter. I'm expecting my first in April and have already clocked that a mirror like this needs to be on my shopping list. If I could win one instead it would be great. I would give it to my best friend! I would keep it for when im looking after my friends baby daughter! I'd use it for my newborn baby who is only 3 weeks old! i did have one before hand but my toddler destoyed it! There is a little one due in the family shortly so would keep to use for him or her. I would give it to my step daughter, who has recently had a baby of her own. This would be a great comfort to her, I am sure! Just the thing for a friends first child.